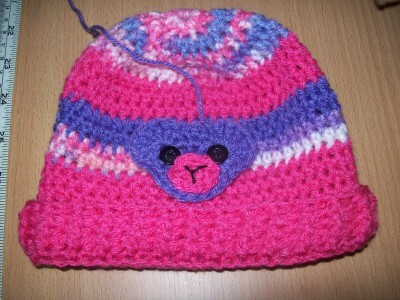 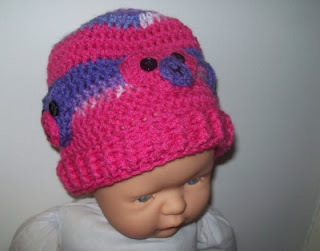 The above beanie-babe is a size new born to 3 months, pattern here. 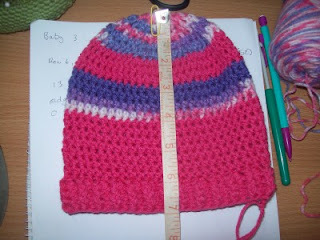 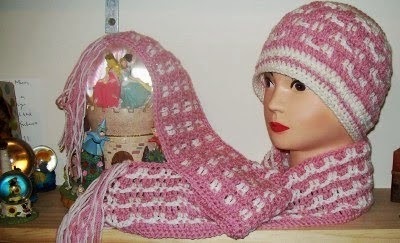 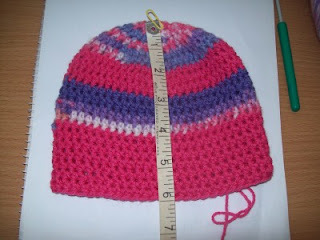 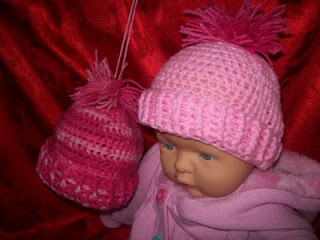 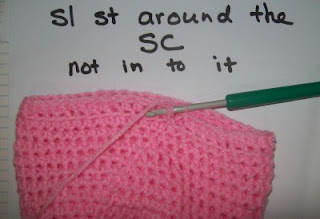 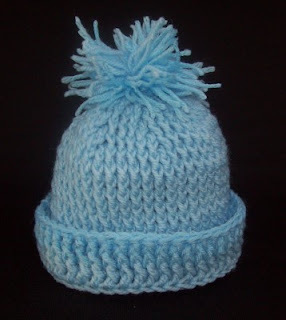 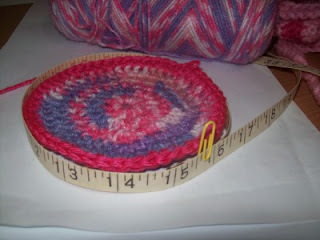 Below is the beanie-babe size 3 to 6 months, displayed on the same doll, so you can compare the size difference. 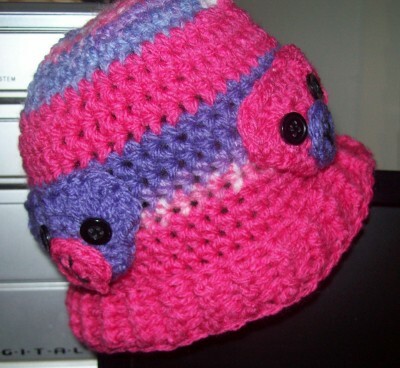 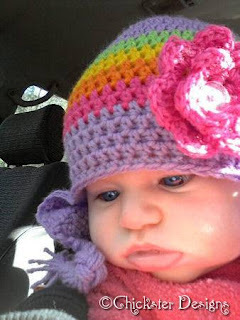 Below is an absolutely gorgeous 13 week old baby wearing this hat design for 3 to 6 months, her Grand Mother made it for her and gave me permission to use the photo, thank you Chickie. 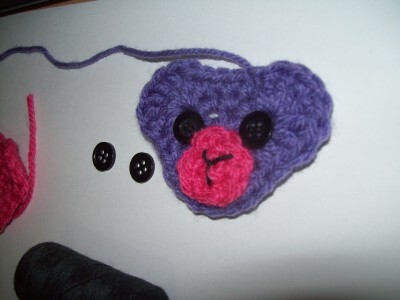 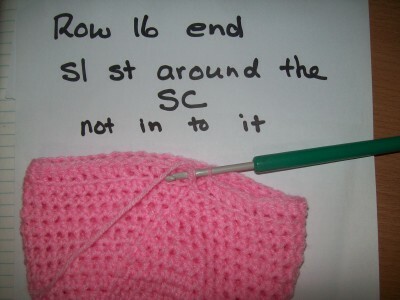 Hide loose ends, fold up ribbed edge, add pompom if you choose, or my new beary easy bear applique, link here.